The landscape plan, which is currently under development following the incorporation into the city of some surrounding areas, is intended to bring about a compact city, accommodating further development within the existing borders, and including a network of functional green spaces. The draft version, which underwent a public and stakeholder consultation process in 2015, provides detailed indications for future development and also seeks changes to existing planning documents (Dresden, 2017a), with a view to protecting and enhancing green networks and so ensure air and water quality, reduce the urban heat island effect and protect biodiversity. The city is currently developing a vision for the city’s future, and is testing and implementing projects to achieve that vision (Dresden, 2017c). It participated in a competition organised by the German Federal Ministry of Education and Research (BMBF) inviting cities to develop their visions. The process is at present being developed through intensive co-creation among bottom-up initiatives; to this end, workshops for citizens are organised in individual neighbourhoods and at city level. The case study chosen by the FP7 project ARTS, focusing on the process of transforming allotment gardens into community gardens, showcases some elements of transition in the city. Community gardens represent an example of social innovation, and support for them is part of a strategy to create momentum for a transition towards sustainable, low-carbon urban lifestyles. Food production in community gardens offers the opportunity to connect actors/initiatives from different thematic backgrounds (nature conservation, biodiversity, health, food consumption and community building). The ARTS project in Dresden provided a framework for actors from community garden initiatives (Stadtverband der Gartenfreunde, Gartennetzwerk Dresden) to intensify contact/cooperation and liaise with public authorities (Grünflächenamt, Stadtplanungsamt). As a result, the network of initiatives succeeded in obtaining the rights to use areas for community gardening from the city administration, owner of the land in question (GartenNetzwerk Dresden – Eine andere Stadt ist pflanzbar!, 2017). Allotment gardens were created in the 19th century in response to poverty in the fast growing urban and industrial centres. These small plots were developed to give city residents (crowded tenement dwellers, in particular) the opportunity to grow food, provide a substitute for the rural environments considered physically and socially more healthy than dense urban areas, and improve the diet of the urban poor. Nowadays, allotment gardens are still extremely popular, but these original goals have partly been replaced by the demand for individual green recreational space. Food production has now become a secondary function for most users, even though it is compulsory under the rules determining the privileged fiscal and legal position of allotment garden areas (Deutscher Städtetag, 2011). Community gardens share some of the characteristics of traditional allotment gardens, for example the use of residual or vacant urban land. Community garden initiatives connect urban gardening and food production activities with social and political goals, including social learning, biodiversity conservation, improvement of the urban climate, and social resilience (Über Uns – GartenNetzwerk Dresden, 2017). 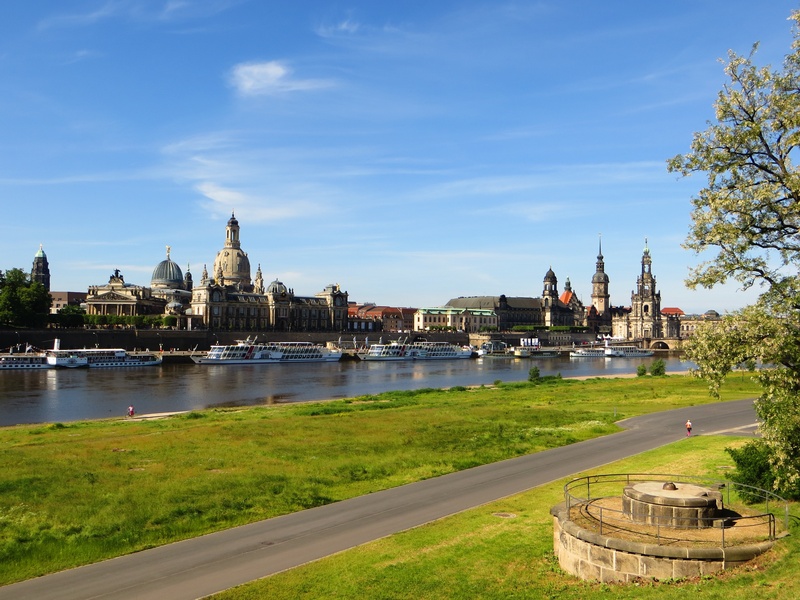 The Municipality of Dresden has for some years been working on a new a landscape plan (following the incorporation of some formerly autonomous municipalities into the city). The plan is to create a ‘compact city within an ecological network’ intended to enhance connectivity and green areas in the city (Stadt Dresden, 2014). This concept gives rise to indications for urban planning instruments, which will gradually be translated into individual green and green/grey measures, for instance enhancing flood protection and ventilation so as to reduce the urban heat island effect, and improving infiltration, evapotranspiration and flood retention. The focus on participation and on bottom-up initiatives like the citizens initiatives for community gardening implemented in the ARTS case study is currently bringing about a change of practice in local governance, where the new initiative ‘Zukunftsstadt’ (City of the Future) builds on the co-design of a shared vision for the city. Members of the public and bottom-up initiatives are involved in both planning and implementation (Dresden, 2017c). At city level, Dresden uses a philanthropic fund (Fonds ‘Stadtgrün’) to develop and maintain urban green (Dresden, 2017). The fund relies exclusively on donations, and allows public green spaces (street trees, parks, etc.) to be maintained; it also collects donations for tree planting.